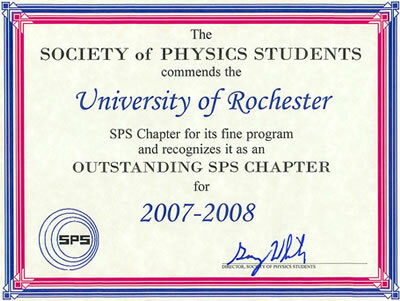 The American Institute of Physics has selected the University of Rochester Society of Physics Students (SPS) as "an Outstanding SPS Chapter for the 2007-2008 school year." Gary D. White, the Director of the SPS national program, awarded this honor to our SPS chapter based on the depth of our activities in "physics research, public science outreach, physics tutoring programs, hosting and representation at physics meetings and events, and providing social interaction for chapter members." The award, he added, is a testament to the UR chapter's personal leadership skills and superior performance. 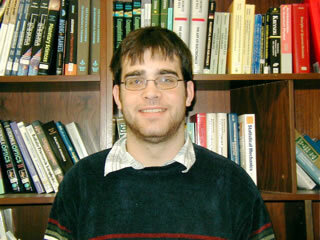 The 2007-2008 President of the UR SPS chapter was Daniel J. Linford. The current President is Danielle Wedde.